National Geographic says that our area is home to the 9th of, “50 of the World's Last Great Places”. The beautiful mountain scene above is just offshore from Keowee Key (Map). Nestled in the foothills of the Blue Ridge Mountains, surrounded by Lake Keowee, Keowee Key is one of the premier communities in the Southeast. About 1,000 feet above sea level, Lake Keowee is blessed with a mild climate and long Springs and Falls. With about 2,000 residents, Keowee Key is a golf, tennis and boating community on 1,600 acres designed for an active lifestyle, and is a great value for vacation homes and retirement living. Residents have formed over 100 clubs and activities, with new ones developing all the time. Whatever your interests or age, you're likely to find a group ready to welcome you. Keowee Key used to have ambassadors — residents who volunteered to show potential buyers the community and tell them what it is like to live here. The program has been gone for several years, so we asked residents how they feel about living in Keowee Key. We are grateful for their responses and we felt you would be also. They are posted below. If you are a fellow Keowee Key owner and would like to add your own testimonial, please call us at 864.238.3176 or participate in our short on-line survey. We would also like to hear your suggestions about how we can improve our Keowee Key community page. It is an honor to be a part of this community and to bring you new neighbors. “Carol and I have loved and enjoyed our Keowee Key townhome in Safe Harbor for the past 12 years. Parting with it was bitter-sweet but we wanted to buy another property in Keowee Key that would better meet our needs going forward as we transition to full time residency. We love the area so much that we have decided to retire here. We love and enjoy the friendly people, the amenities and activities at Keowee Key. I'm a forester and we appreciate nature and all the opportunities for outdoor recreation we have. Being close to the pristine, mountainous Highlands and Cashiers, NC area is icing on the cake. It is wonderful to have those high elevations such a short drive away. We particularly like going to The Orchard Restaurant for lunch or dinner. Doug and Carol helped us locate a home that was everything we wanted. They took care of everything and made the whole process easy for us. They worked diligently to protect us in every phase of the transaction. 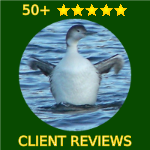 We have worked with a lot of pretentious real estate agents over the years so we really enjoyed that Doug and Carol are real people and nature enthusiasts as are we. They even helped us connect with more Keowee Key folks. Doug & Carol asked us to join them at a KK housewarming party for Joe and Marcy Palmer - more client-friends of theirs. Joe is their dentist so it was good getting to know him. Marcy is an interior designer so their newly-remodeled waterfront home was beautiful. Joe is an avid scuba diver in Lakes Jocassee and Keowee so they love nature in this beautiful area, too. 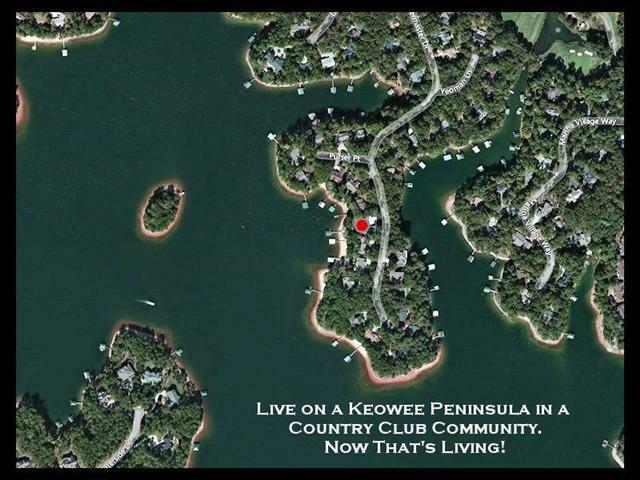 “I have lived in Keowee Key for a year now and love it! It is a perfect fit. It is truly a casual country club community with fun people. We recently attended the 2019 Super Bowl event at Keowee Key with Doug and Carol and some of the other owners I have met. It was a fun event enjoyed by all! I highly recommend Keowee Key and Doug and Carol. They are just down-to-earth folks with a lot of local knowledge. Carol is helping me to get involved in some of the area ladies' groups. It is easy to make new friends here. The overall friendliness of Keowee Key, including the staff and workers, is wonderful. The diversity of the Keowee Key population is amazing; there are families here from all over the country in all age groups. SC taxes are a relief! “My daughter, who is a Coast Guard veteran as Doug is, contacted him on my behalf to help me find a home in Keowee Key. By an amazing coincidence, they were both stationed at Coast Guard Headquarters in Washington at the same time in the 1980s. Within 3 days, we traveled to SC and met Doug to see the community. After carefully listening to my needs, Doug took us to a few townhomes; we quickly found one that was a perfect fit. On this site are a few of our Featured Listings that will give you insight into, not only the homes, but also this beautiful area. You will find extensive videos, visual tours, maps, photos and links that we hope you will enjoy and know you will find informative. “If 591 Tall Ship does not sell, it is not due to a lack of detail given to what's for sale. Premier Townhome Location in Keowee Key only a few steps from the pool & deep water slip. A Heavenly vantage point to watch the beauty of nature. Every window has a Keowee view. Enjoy Pristine landscaping that you don't have to maintain! 591 Tall Ship, Salem, SC. Call Doug Patterson at 864.238.3176 for a free marketing analysis. NOTE: Who lives in Keowee Key? 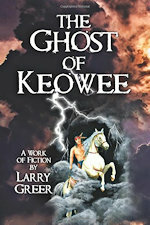 Keowee Key is a unique community with many very kind, unpretentious and talented individuals, such as Larry who is now a renowned author. He is a true southern gentleman and has been a pleasure to do business with. One of his many accomplishments is that he has raised $63M through the BI-LO Charity Golf Classic. In 2000, Larry's service as the Board Chairman of the Greenville Health System Board of Trustees led to the creation of the Larry M. Greer Stellar Service Award. The award is given to the one GHS employee they believe has best demonstrated outstanding stellar service over the past 12 months. In KK, there are over 100 activity groups. Many of these groups enjoy teaching from gifted individuals in the community such as musicians, artists, fishermen, etc. “My wife and I moved here from nearby Greenville, SC in 1996. We live in a Tall Ship condo and are very active in the Homeowners Association. We enjoy the KK amenities including the new facilities and hobby opportunities. The caring residents are like family. Keowee Key is in a great location. Our children and grandchildren visit us often because of the fun they have here in KK and on this great Lake Keowee.” Barry was the 2015 President of the Tall Ship Condominiums Board of Directors. Their web site has extensive information about Tall Ship Condominiums. “The start of a journey begins with a dream. A home on a golf course, beautiful, natural surroundings, safe community, active lifestyle, and nice neighbors were some of the dreams I had when I started my journey looking for my new home and community. Carol and Doug Patterson helped me find all those dreams — and so much more — here in Keowee Key. This was a big move for me and they helped me get through it all! They were not only fun to work with but serious professionals as well and I always felt they always kept my best interests in mind. As owners in Keowee Key they really know the community and express their heart for it. “From the start, I found Keowee Key to be very welcoming. Even before I bought my home, I felt a connection here. This is a funny story but clearly underscores one of the reasons I moved here; Carol was showing me homes and we stopped at the KK pro shop. She stayed in the car to check on another possible home to see. She didn't notice, but as I was walking up to the pro shop, a lady in a cart stopped to talk to me! I told her I was thinking of buying here and loved golf. One thing led to another and next thing, we were riding off in her golf cart to catch a glimpse of the course. Well, it all happened so fast I forgot to tell Carol! Ooops! She just thought I was still in the pro shop until she saw me riding up in the cart! We still laugh about that. Lake Martin, ALPretty lake but lowers more than 10' in the winter. Year round water is expensive and many hazards if you wanted to boat during the off season. Lewis Smith Lake, ALPretty lake, reasonable home prices, but somewhat rural feeling to it. Nearest big town is Birmingham which is not the greatest but good medical. Lake Jackson, GARiver lake, nasty water. Good proximity to Atlanta though. Lake Lanier, GAPretty lake, water levels can fluctuate, though. Proximity to Atlanta can make it very crowded on weekends. Seemed like practically a suburb of Atlanta. Army Corps of Engineers lake so they pretty much control what you can or cannot do with the shoreline up to the Corps line. Lake Hartwell, GA/SCBig lake just south of Keowee. Water can fluctuate quite a bit (it was 15' down when we visited, but full now). Housing prices much more reasonable than Keowee. Water not near as pretty as Keowee. Intimidating size and Army Corps lake again which effects what you can do regarding shoreline. Lake Greenwood, SCNice lake, communities, and reasonable home prices. Water not very nice. Rural area. Lake Keowee, SCBeautiful lake, convenient to Greenville, Charlotte, Atlanta, and the coast. Good lake water levels and year round boating. We're looking forward to adding more testimonials to help us share the love and beauty of this community and area! Please call us at 864.238.3176 or use our survey.